← How Familiar Are You With Tolkien’s Work? I’ve highlighted releases I’m aware of–some authors I’m familiar with, others I’m not–and I hope you find something of interest here. Do any of these catch your attention? 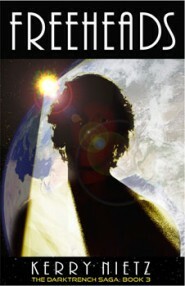 Feel free to share in the comments, as well as add any new Christian speculative novels I may have missed. The secret religious police, Kesek, no longer hold sway over the Realm of Five. Freedom of belief is returned. Now Lieutenant Commander Brian Gaudette of Rescue Operations doesn’t have to hide his own beliefs – and he can read his Bible in peace. Too bad he doesn’t even want to look at it most days. He has a new, state-of-the-art starship ready for its maiden cruise – but the first officer is an ex-pirate and the crew fight over suddenly legal religious differences. 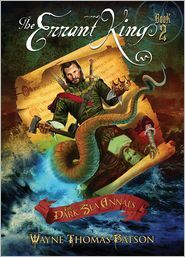 The Crown Marshals want their people aboard to hunt down Kesek’s remnants. His wife has taken his daughter away for fear of his beliefs. And Brian has to wonder whether his God — who never seems to be around — will ever give him a straight answer. 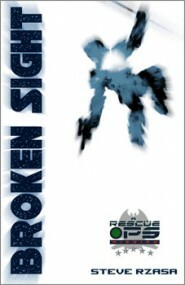 When he answers a distress call on a remote planet, Brian will find his faith and duty challenged in ways for which he thinks he is unprepared. 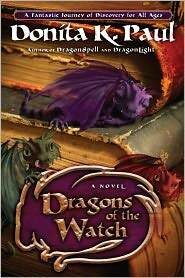 Trapped in a forgotten city, bound by secrets, Ellie and Bealomondore must enlist the dragons of the watch to find freedom. Ellie knows exactly where she is going. She just wants to experience the pomp and circumstance of a royal wedding, then settle into a simple life with a country husband. With too many choices, Bealomondore’s future is a tangle of possibilities. He is respected, well-known, and admired among the elite of Chiril, but Wulder demands he narrow his focus and follow his Creator, one step at a time. 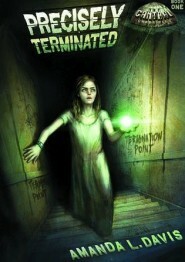 Both Ellie and Bealomondore’s plans are thwarted when they find themselves lost in an isolated city. As they discern the needs of a group of wild children and a very old man, clues began to surface and a bigger picture is revealed. 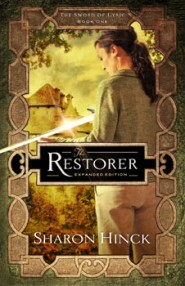 With the help of the dragons of the watch, can the two tumanhofers find the way out—and perhaps discover their connection to something greater than themselves? Deep in the caves of the distant Hinterlands, an ancient menace stirs. Townsfolk shudder at violent memories of The Red Queen and even dare to whisper the name Raudrim. At the same time, word comes to Alastair that Cythraul has at last resurfaced, seeking a devastating weapon in the ruins of Grayvalon. Blood-soaked clues lead Alastair into a confrontation from which only one warrior will return alive. Meanwhile in Anglinore, young Lochlan Stormgarden, the new High King of Myriad, leaves the pomp and politics of the throne once too often. While blending in with the people of his kingdom, Loch suddenly realizes that he’s put them all at risk. The fate of his new found love Arianna, his best friend Telwyn, his family, and indeed the world of Myriad all depend on the decisions of the errant king. Having escaped the storms of Betelgeuse and the schemes of Jannah’s inhabitants, Sandfly and HardCandy make their way back to Earth. They have a message to deliver. A society to free. And A~A3 is with them. Their mission is simple, and just. What could possibly go wrong? Ultimately, Sandfly is alone, and Earth’s freedom relies on him and his newfound faith. But does his mission even matter anymore? He’s a misfit, and a throwback. A symbol for all that’s evil. Perhaps he’s the last freehead? The dreadful Goths have invaded Röckval, testing the strength of Bitterland’s ruler. Meanwhile, the Barlow brothers are growing stronger and stronger in their powers—all except for Ewan, who traded his gift away to save the life of his friends. Soon it becomes clear that the Goths are the least of their worries. A terrible machine is being built high atop Mount Vishgar, above Röckval, where the raging winds never cease. 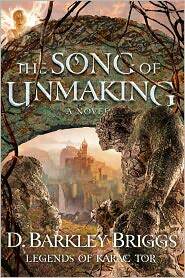 If the machine really does release the Song of Unmaking, what will happen? Can Arthur lay aside his grief and once more become a great leader of men? And what is the mysterious Doorless Tower, Nein Dyrr? As Kr’Nunos grows more bold, the Barlow brothers take their stand with the viks of the north. Yet it is Ewan alone who must answer the question: Is any music stronger than the most powerful song of destruction the world has ever known? The desolate world Mikuhr is home to a once-proud people now on the verge of extinction. Conflict explodes when apprentice priest Kiel Caldwell arrives to investigate rumors of new spiritual revelation, but he is kidnapped by a demon possessed telepath who thinks he might be a predicted messiah. And when Kiel’s loose-cannon military brother Kinnor arrives to investigate, a local leader with revenge on her mind threatens to bring down ruin on them all. 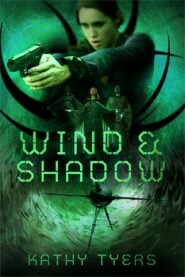 It’s up to returning Mikuhran diplomat Wind Haworth to head off a conflict that could have spiritual, political and military consequences–but no one foresees the consequences of introducing the Mikuhran Wind Haworth to Federate military Sentinel Kinnor Caldwell. Valkerie Jansen is tough, beautiful, and has an uncanny knack for survival. But that doesn’t explain why NASA picks her to be part of a two man, two woman crew to Mars — or does it? Bob Kaganovski, the ship’s mechanic, is paid to be paranoid—and he’s good at it. After a teeth-rattling launch, Bob realizes that his paranoia hasn’t prepared him for this trip. He can deal with a banged-up ship, but how’s he going to survive the next five months with HER just a flimsy partition away? Halfway to the Red Planet, an explosion leaves the crew with only enough oxygen for one. All evidence points to sabotage — and Valkerie and Bob are the obvious suspects. 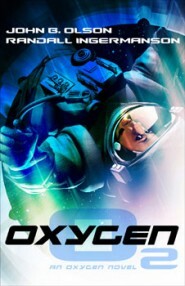 Oxygen is a witty, multi-award-winning roller coaster ride, with a plot that moves at the speed of light. Susan Mitchell sees herself as an ordinary soccer mom, until she’s pulled through a portal into another world, where a nation grappling for its soul waits for a promised Restorer to save their people. This entry was posted in Christian Fantasy, News and Releases and tagged Amanda Davis, D. Barkley Briggs, Donita K. Paul, John Olson, Kathy Tyers, Kerry Nietz, Randy Ingermanson, Sharon Hinck, Steve Rzasa, Wayne Thomas Batson. Bookmark the permalink. It will be interesting to see what happens to Bealomondore , for sure! Indeed! He was one of my favorite characters, I think.